Some things make you scratch your head in a bit of wonder. 2. I went to some dive hipster bar (with some really, really good music) on Saturday with Bri R. and some friends. 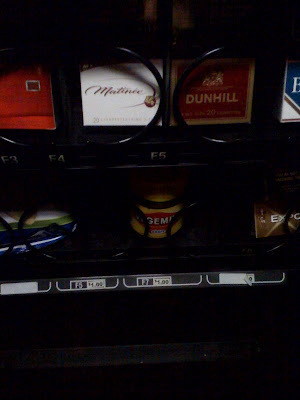 At the end of the night, Bri wanted some Cheezies out of the vending machine, and -- lo and behold -- look what we found. Yep, that's vegemite. For $10. 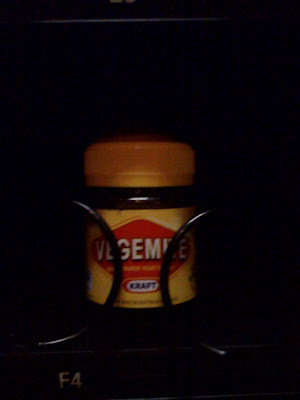 I suppose most people might have that in change in their pockets after the bar, but Kraft vegemite wouldn't be my pick for an end of the night snack.